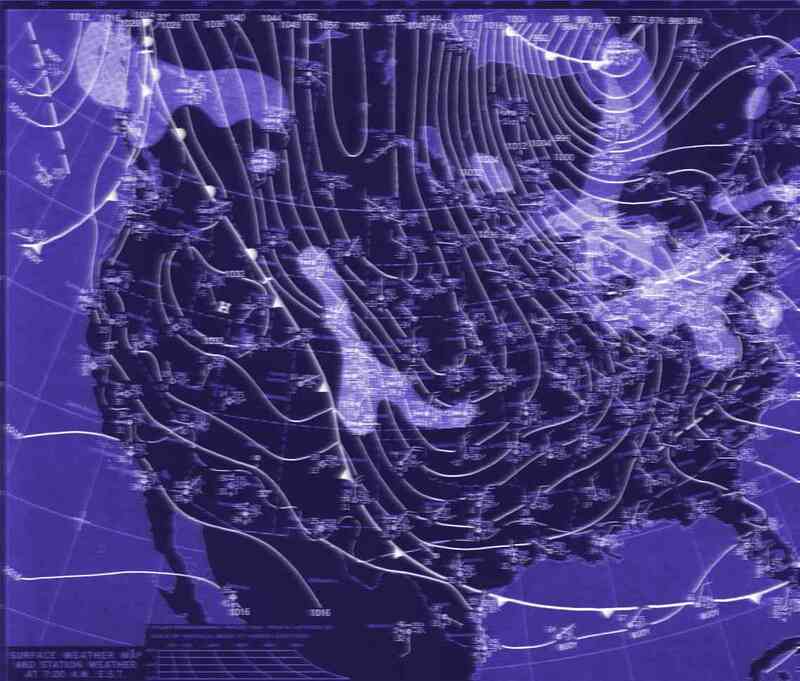 The Weather Forecasting School quickly teaches the inner workings of weather forecasting. It's a series of courses taught by meteorologist Tim Vasquez, who not only has a forecasting background but also spent 10 years in Air Force meteorology and has written several textbooks. 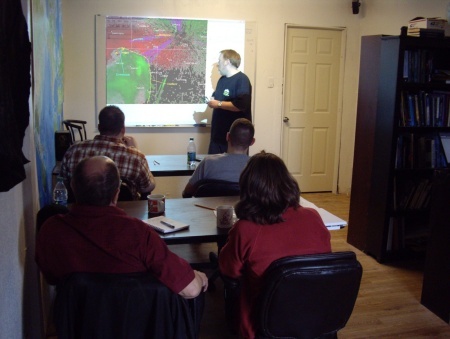 Since 2001 Tim has taught hundreds of hobbyists and forecasters the science and art of weather forecasting through a unique building-block approach. So why Weather Forecasting School? It's conveniently located in Norman, Oklahoma -- the professional and academic severe weather capital of the world. Undergraduates can fully prepare themselves for the demands of university meteorology coursework. Perfect for storm chasers, amateur forecasters, SKYWARN net controllers, and broadcast meteorologists looking to brush up in critical areas. * Resident classes in Norman, Oklahoma will not be available in 2014 or 2015. The FAQ sheet for resident classes can still be viewed on our Frequently Asked Questions page. * Personalized VIP Training in Dallas or Tyler, Texas, is available at the special rate of $495/day or $295/half day. You will be responsible for provide the training location, such as a conference room, house, hotel meeting room, or hotel room. Tim Vasquez will bring a computer and projector, and training can be provided on topics like analysis, soundings, hodographs, models, dynamics, plotting, pattern recognition, diagnostics, satellite, radar interpretation, profilers, chase strategy, storm structure, case studies, isentropic analysis, numerical meteorology, and much more. It's all up to you. To arrange a training session, contact us. Tim Vasquez can also travel to your city to conduct training at the rate of $795/day plus transportation and lodging. Tim Vasquez is among the top experts on severe weather forecasting and is an accomplished author and programmer. Tim's interest in weather goes back to 1976, but he began storm chasing in 1986, learning firsthand from master storm forecasters Alan Moller and Tim Marshall. As an Air Force meteorologist he forecasted weather for a number of special operations, including the F-117A Stealth Fighter in Nevada, U-2 flights for United Nations Command Korea, and for Operation Support Hope in Rwanda. At Dyess AFB, Texas and the US Forces Korea Forecast Center (TFU) in Seoul he was responsible for training and certifying all incoming meteorologists. He completed WSR-88D doppler radar training by Unisys (the radar's manufacturer) and holds certification in operating all parts of the radar unit including the RPG workstation and UCP control positions. Tim programmed and wrote the Digital Atmosphere analysis and display system which has been in use by thousands of private meteorologists, hobbyists, and weather agencies worldwide since 1996. In 2009 he appeared on CBS Evening News, The Weather Channel, and the BBC as an expert on the weather affecting Air France Flight 447. His books, including Weather Forecasting Handbook, Weather Map Handbook, and Storm Chasing Handbook are popular titles and are used in weather courses at universities across the country, and he's written the Forecast Center column in Weatherwise magazine since 2001. For questions about the Forecast School courses, send us an e-mail! "I just wanted to say thank you for an excellent class on March 10th, and it was a pleasure to meet you and Shannon in person! Sara, Keith, and I learned a lot about forecasting, particularly jet streaks and adjusting SKEW-T plots to accommodate surface heating. If you are considering hosting another class, perhaps with the "next step" in forecasting, you've got three people ready to sign up!" "Thanks for the chase forecast class yesterday. I'm still fairly new to chasing in the Plains, but the class boosted my confidence in my forecast ability. Please keep the classes coming... they are really great!" "Enjoyed the class Saturday, please put me on a waiting list for the next open chase target selection class"
"I just wanted to tell you how much I enjoyed the class. �Worth every penny! I hope next year I hope you are allowed to go over soundings more thoroughly and applications with soundings from surrounding office and kinda of a refresher for not only thunderstorm events but briefly cover severe winter weather events. Great class again!" "Thanks for your forecasting class at the ChaserCon!� I'm also working through your book now. 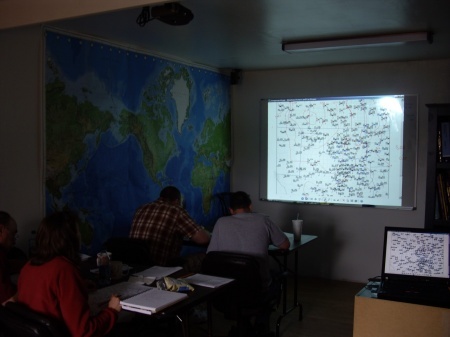 I enjoyed the class, although I was wracking my brain to remember a lot of basic meteorology." "Just a note to once again say I thoroughly enjoyed your class and found it to be worth every penny! I will re-read your books with some new found enthusiasm! You and Jim did a great job of finding out our needs and then filling them with a patient understanding. Like I told Jim, that is a quality I have found to be true with every meteorologist I have ever met! Well...ok with the exception of Les Lemon >:-}. I hope that you find a way to continue offering your class so that others may learn. Look forward to seeing you in Lincoln. Drive safe!" "I enjoyed your forecasting class in Denver and just wish it would have lasted longer. I'm more interested in the forecasting skills than the actual sighting of a tornado." Also see an endorsement in KWTV-9 meteorologist Gary England's column here. 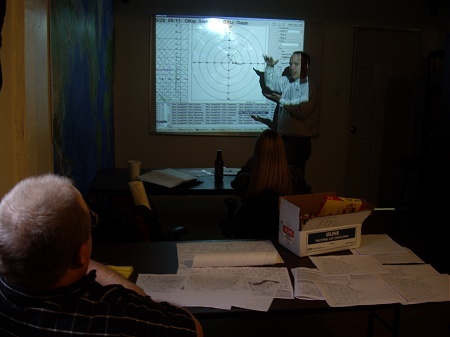 Tim Vasquez explains the zero-line on a WSR-88D radial velocity product during the April 21, 2012 class. Jim LaDue of NOAA Warning Decision Training Branch is an occasional surprise guest instructor. Photo from October 2012. Chart analysis is one area we specialize in. Sometime in the next year we plan to roll out online training courses. You'll be able to participate from the comfort of your own desk using any web browser. A webcam or microphone will not be required. So you don't miss out, please subscribe to this announcement list to get information as soon as a class is scheduled. You can also unsubscribe at any time if you no longer wish to be on the list. * If you are using the NoScript browser plug-in, you may see an error. Click here for special instructions. * Your E-mail is kept private and will not be published or given to spammers. You may unsubscribe at any time.